There’s snow way to avoid this storm. Winter shows no sign of easing up in Fortnite Battle Royale. 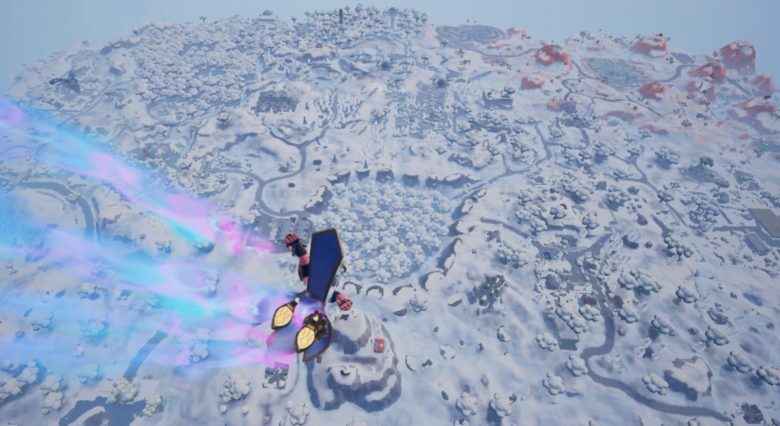 The latest in-game event has brought an Ice Storm that blanketed the map with slow — as well as a brand new list of challenges with new rewards to unlock. Fortnite’s latest update, version 7.20, which rolled out last week, put a giant ice sphere above Polar Peaks. Players wondered what the sphere was for, and they finally found out on Saturday. When the Ice King frozen inside the sphere broke out, he summoned a blizzard that covered every inch of the Battle Royale map in snow and heavy fog. It also brought the Ice Legion — undead beasts that spawn from glowing stones dotted around the map — and a new list of event challenges. There are 13 challenges in total, and Epic is unlocking two a day. All are related to the Ice Storm event. The first two require players to destroy 250 Ice Fiends and deal 5,000 damage with explosive weapons to the Ice Legion. Each challenge will earn players 500 XP upon completion. Complete six and you’ll be rewarded with an exclusive weapon wrap, while completing all 13 will get you the Winter’s Thorn glider. It looks like there’s more to come, too. In true Epic fashion, it also introduced some new mysteries alongside the Ice Storm event. Players will notice eggs inside the dungeon at Polar Peak, and a bunker where the iceberg once sat in Happy Hamlet. It’s not yet clear what these things will lead to, but they could be early teasers for big changes to come in season eight. We’ll update you when new additions are discovered in the coming weeks.